This is Midge. She’s a two-year-old top-eared chocolate-coloured hooded ratty. And we’ve just adopted her from our neighbour — the one who introduced us to rats as pets in the first place. 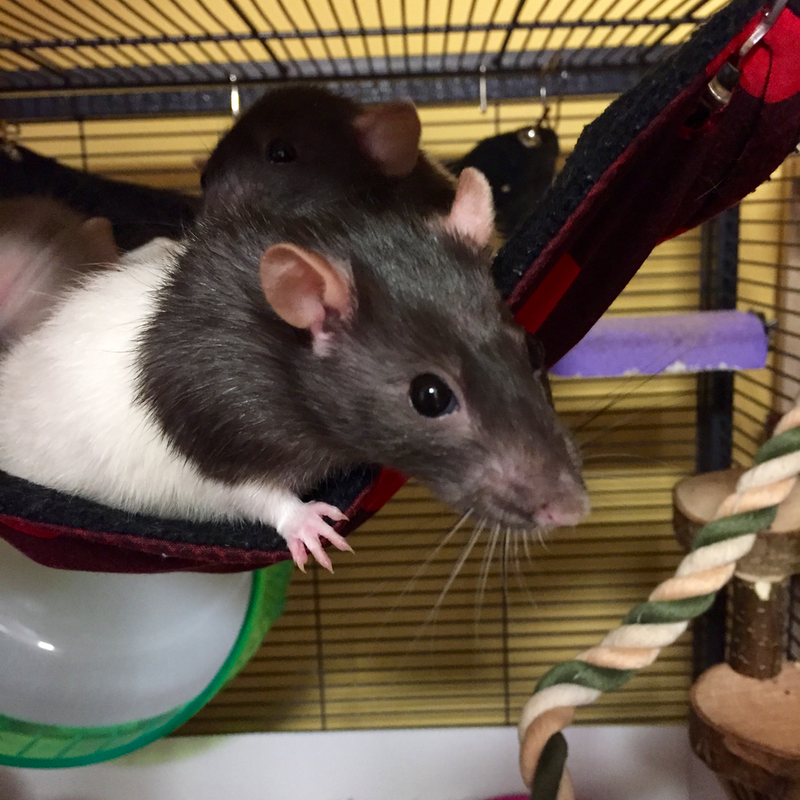 Midge’s last remaining cage mate died recently and our neighbour isn’t planning on getting more rats, so rather than leave her on her own, she is joining our mischief madhouse. Midge is older than any of the others (Rocket and Rommie are just over eighteen months now), still very perky and friendly, and dashes to the front of the cage any time we go near. She loves to explore and is fearless — the other day she leapt down to the floor, something that no other rat here has done deliberately — so we will definitely have to keep a close eye on her during free range. I was a bit concerned how introductions would go, especially after the grief we had the last time, but it all went remarkably smoothly, better than I would ever have expected. 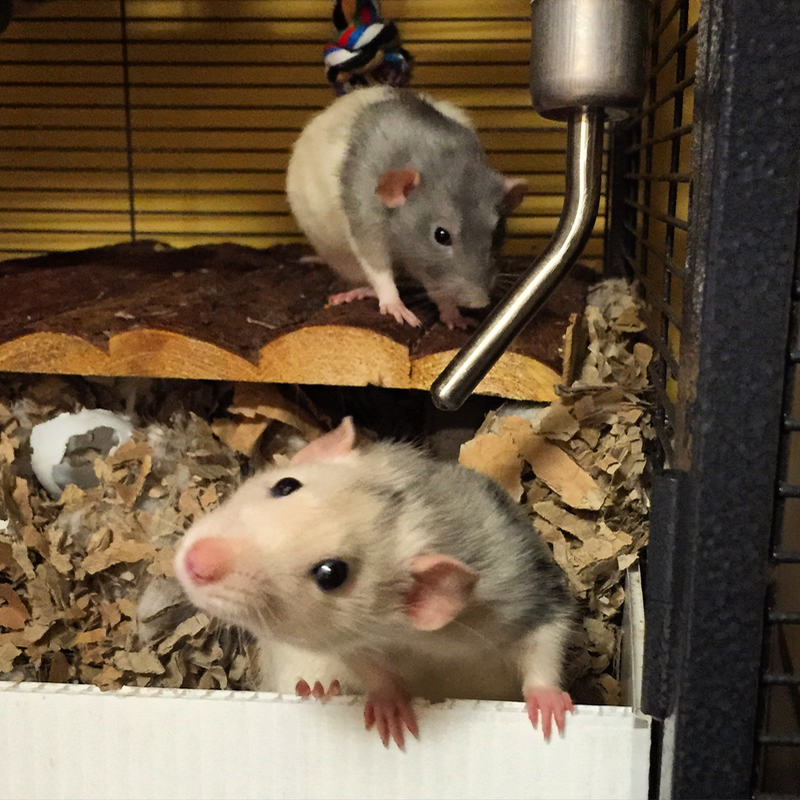 The only issue we’ve had is, surprisingly, with Quorra, our adorable tilty ratty. And even then, the main problem is that she insistently grooms Midge, who then gets fed up with it and tries to get her to stop. 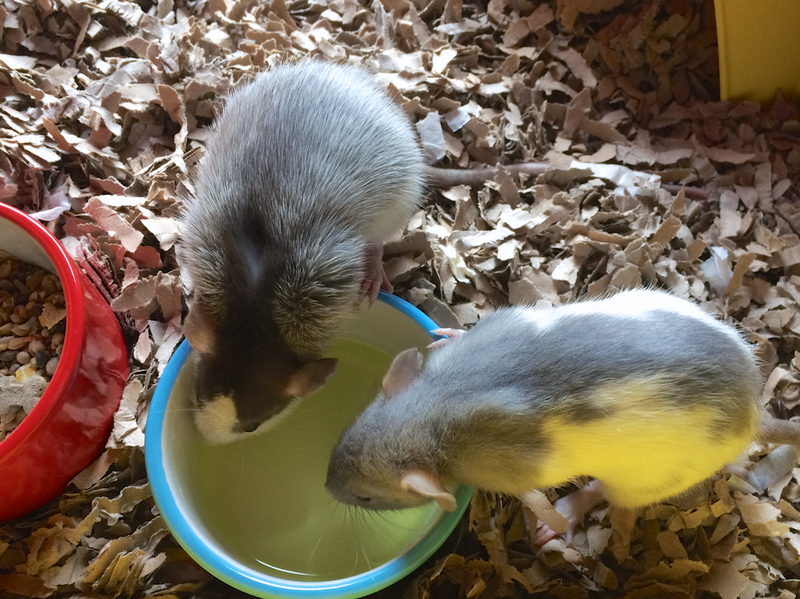 There’s been a fair bit of squeaking and fluffed-up ratties, but only a couple of minor scratches, so I’m calling that a success. 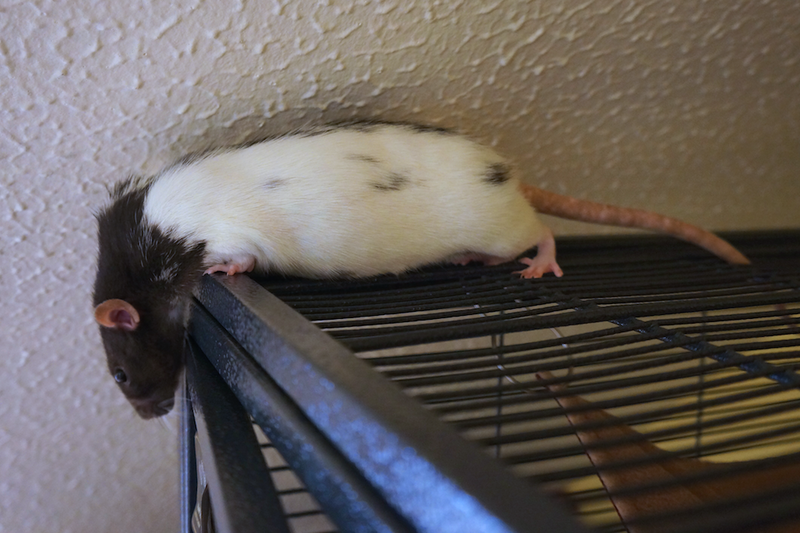 Rocket is not overly impressed and seems to be sulking a bit more than usual, though this may just be a ploy to get more attention (she is a very cunning rat). Rommie doesn’t really care, as long as she still gets her food. And Yori is just Yori. I think Midge will fit in just nicely. On Saturday we said goodbye to Song. The rat that wouldn’t give up — who had lived with an ever-growing lump since January, who trolled around the cage barely acknowledging the lump’s existence and who would have still been climbing the sides of the cage if physics and gravity hadn’t conspired against her — refused to give up even when the lump finally outgrew itself and was on the verge of ulcerating. It was a hard decision to make, but it would have been harder to have waited until there was no choice. This way she was never in any pain. She had a lump removed last year and, although she recovered well, she went stir-crazy being kept separate while she healed. That, combined with her constant respiratory problems, discouraged us from putting her through surgery again when we discovered a total of three lumps at the start of the year. Two of the lumps were kept under control with Galastop, unfortunately the third didn’t respond. The remaining Demon Twin made it to the decent age of two and a half years old, outliving her sister River by four months. She never lost her love of food or her desire to crawl inside my t-shirt. She will be missed. Rocket ably demonstrates her flexibility.